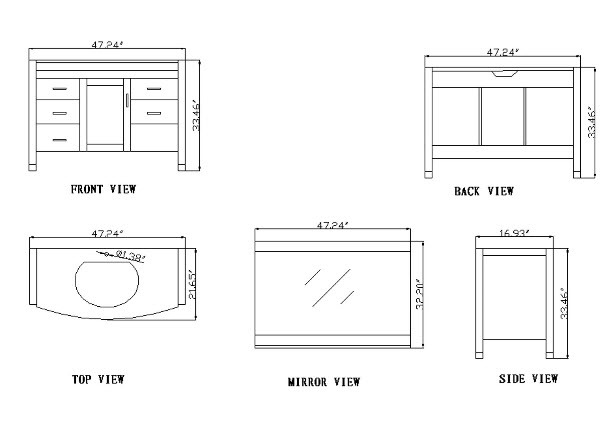 The 47.25" Avaline Single Bath Vanity with glass basin and inlay doors offers both modern clean-lined sophistication and classic warmth. 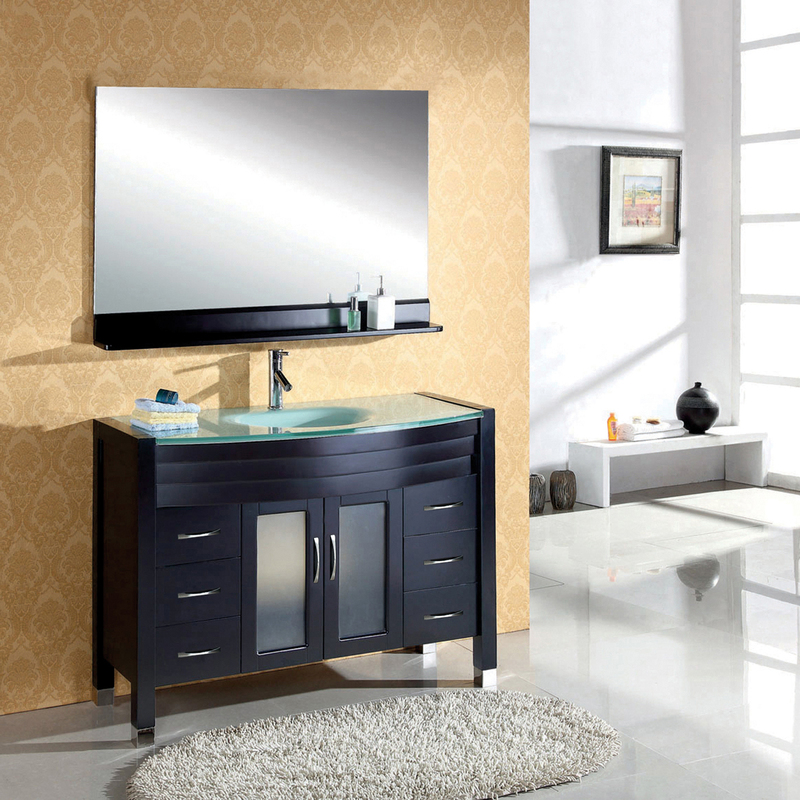 The vanity is made from solid Rubberwood, A sustainable hardwood from the maple family. Eco friendly Rubberwood has very little tendency to warp or crack and is a common choice for high end furniture. 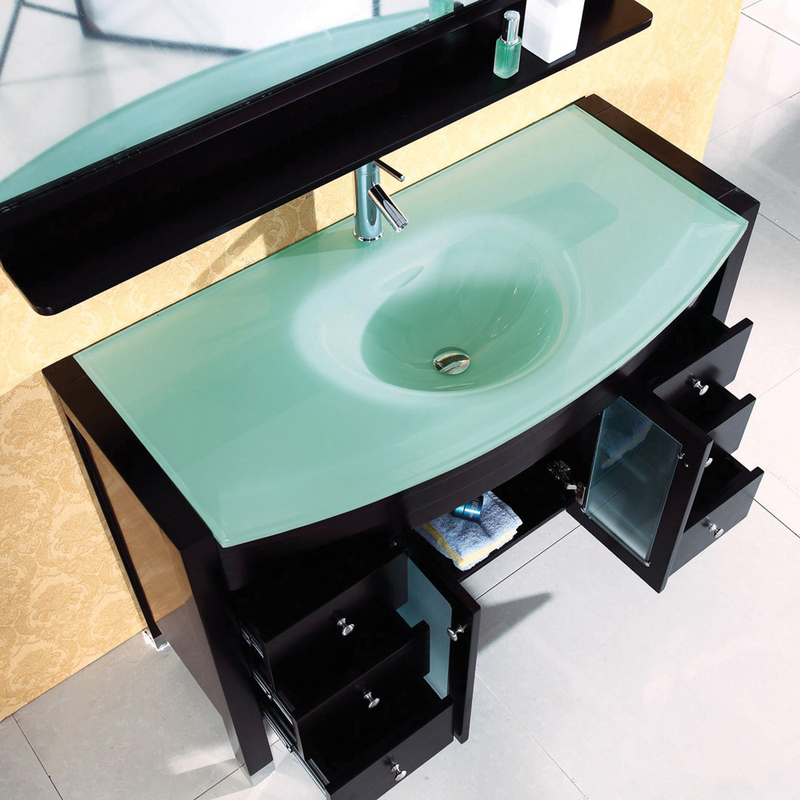 A tempered glass basin rests above the vanity and is enhanced with door glass inserts. The rich espresso finish completes the modern design and is the most popular choice for today's premium modern vanities. 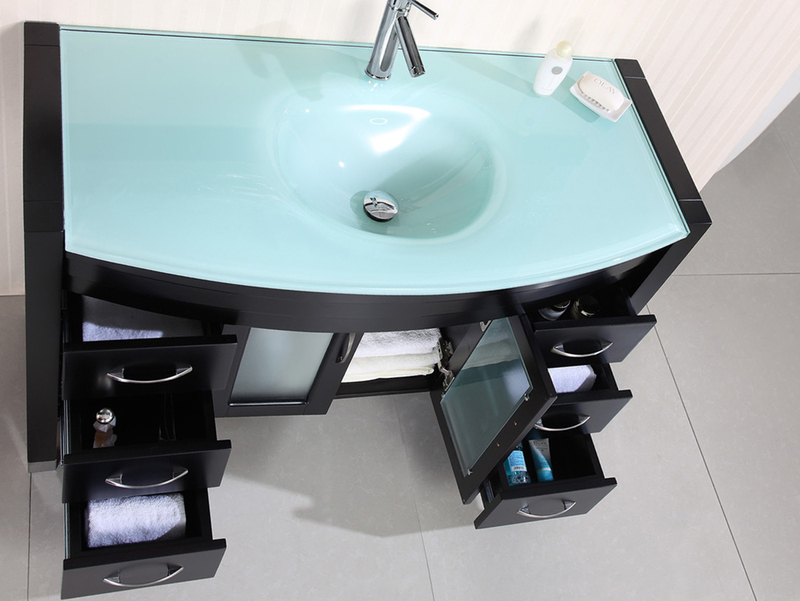 The Avaline vanity comes complete with the mirror and faucets so when you place an order you can rest assured that your vanity needs have been met.